Dubai, UAE – 12 October 2017: Saudi Arabia’s leading food industry companies are gearing up for the fourth edition of Gulfood Manufacturing, running from 31 October and 2 November at Dubai World Trade Centre (DWTC), to demonstrate how regional food manufacturing firms and the global industry at large can play a significant role in the innovative Saudi Vision 2030 plan for a sustainable, diversified economy. According to a recent BMI report, Saudi Arabia’s food and beverage industry already accounts for 12 per cent of the country’s annual GDP and is expected to grow at a Compound Annual Growth Rate (CAGR) of 5.9 per cent through to 2020. As the Gulf’s most populous nation, the Kingdom ranks as the GCC’s largest food manufacturer and is the origin of 74.1 per cent of the region’s total food and diary production. Those healthy statistics coupled with economic reforms and a growing youth population with greater disposable incomes and exposure to Western trends has stimulated a change in eating patterns, spurring abundant growth in-market opportunities for the global food and beverage industry. Government-endorsed programmes such as food security focused King Abdulla’s Initiative for Saudi Agricultural Investment Abroad have reinforced the Kingdom’s commitment to become a manufacturing heavyweight by enabling domestic food manufactures to compete on an international level in terms of their product technology, price and quality. Against this backdrop, Gulfood Manufacturing 2017 highlights an array of investment avenues for local, regional and international firms in terms of entry and expansion into Saudi Arabia, as well as offering Saudi manufacturers with the opportunity to network and facilitate potential partnerships with buyers from across the MENA region and beyond. “With Saudi Arabia occupying such a crucial position in the regional and global food supply chain landscape, and with the ongoing plans for reform and diversification, Gulfood Manufacturing is a strategic platform in the business growth strategies of key players already operating, or exploring expansion opportunities, in the Kingdom,” said Trixie LohMirmand, Senior Vice President, Exhibitions & Events Management, DWTC, which organizes the show. 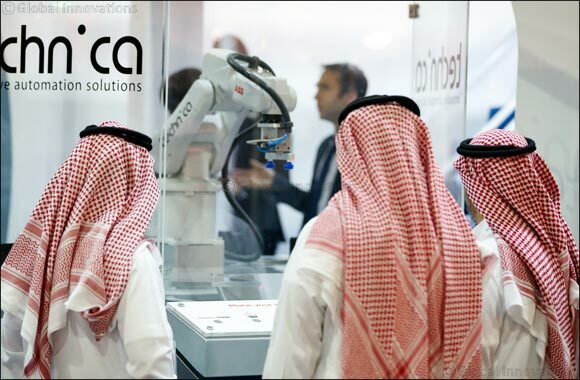 One Saudi Arabian exhibitor returning to Gulfood Manufacturing is First for Food, which will be showcasing its latest innovations for Ingredients and Processing and Packaging at the three-day mega industry event. “Thanks to the visionary Saudi leadership, obstacles that many investors previously faced in the GCC’s largest food market will gradually fade, and there are great opportunities that have not been exploited in our domestic food industry. To this day, the Kingdom imports 50 per cent of its daily consumer products - this indicates that the food industry is full of opportunities, especially if partnerships are held with the parent manufacturers,” Dr. Ihab Jaffan, Sales Director at First for Food, which will be exhibiting in Hall 1, stand B1-24. First For Food is one of more than 1,600 exhibitors from more than 60 countries and 30 national pavilions showcasing the latest innovations, with first-time participation from countries including Poland and the CIS. To ensure participating companies can connect with the right partners and investors, Gulfood Manufacturing 2017 will host the ‘Big Buyers’ Programme, which will collect more than 2,000 pre-qualified buyers with a pre-determined budget from across the Middle East and Africa. Also new for this year are the Gulfood Manufacturing Awards, which will recognise industry excellence in a glittering ceremony on the evening of October 31, while the Innovation Tours will offer visitors a memorable journey showing real-life innovations within some of the region’s top, award-winning food factories. An industry-leading conference will also be held on the sidelines of the exhibition featuring in-depth analysis, debate and discussion on topics including digitisation in the food manufacturing industry, smart manufacturing, big data and analytics. Gulfood Manufacturing 2017 opens from 10 am – 6 pm on 31 October and 1 November, and 10 am – 5 pm on 2 November 2017. The show is open to F&B trade professionals only and visitor attendance is free of charge.